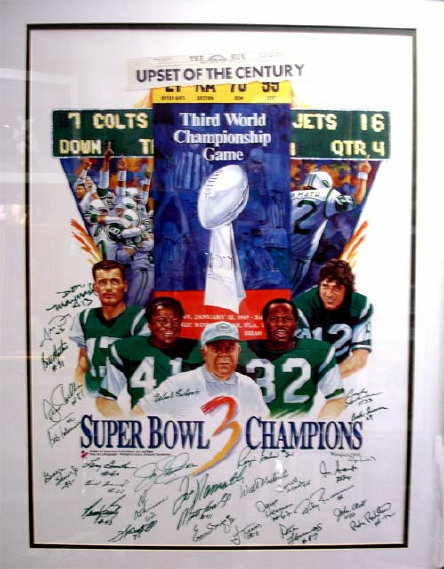 1969 Super Bowl Champions, New York Jets, team signed Fine Art Lithograph by Ron Lewis. 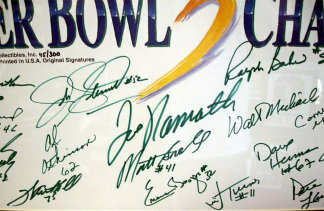 Hand Signed by 28 members including the now deceased Coach Weeb Ewbank! 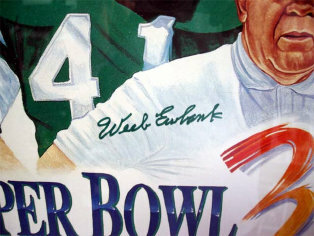 Signed by the Artist Ron Lewis as well. Measures 43" x 34" and is framed and double matted . 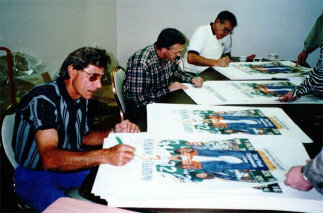 Pictures from the signing are included.